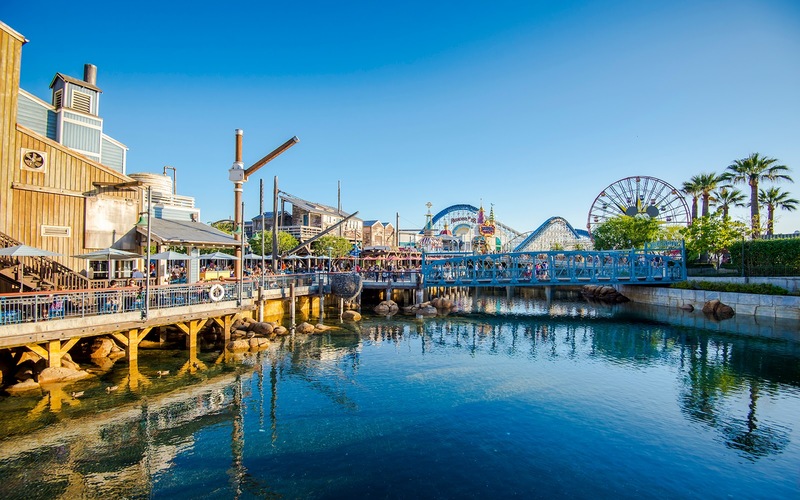 The calm, steady waters of Pacific Wharf are a constant datum in this peaceful, Bay Area inspired land at Disney California Adventure. And when the afternoon sun strikes the water and the buildings just right, it evokes a soothing tranquility that pacifies the soul. I love the mood of this scene as the afternoon winds down. It reminds me of cozy summer afternoons from my childhood vacations to San Francisco--nice, nostalgic memories indeed! A warm afternoon washes golden light upon the waters of Pacific Wharf.